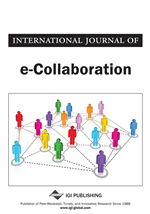 This study examined the perceived importance of line managers and middle managers in virtual teams of what work roles and leadership functions are necessary to promote virtual team success and performance. Using Quinn’s (1988) competing values frame-work it was found that control-related roles of directors and producers were perceived to be most important. With years in a leading position, the repertoire of leadership roles needed to successfully lead virtual teams declined. Additionally, middle managers compared to line managers perceived people oriented leadership functions (i.e., mentor and facilitator roles) and flexibility-related work roles (i.e., innovator and mentor roles) as more important whereas line managers compared to middle managers perceived stability leadership functions (i.e., monitor and coordinator roles) as more important. Theoretical and methodological implications are discussed.